Mostly students think education about topics as sustainability are boring and annoying. But education about this topic is important if we want a sustainable future and a change to a ‘greener’ and more circular economy. Therefore, the research group of environmental economics and the students in the teachers programme decided to change this. In April 2018 they organised ‘De dag van de duurzaamheid’. 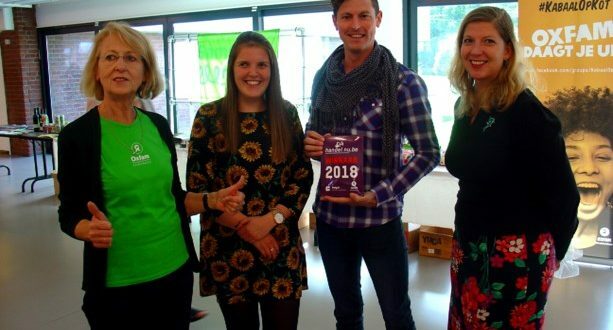 During this day 150 students of high schools came to the university of Hasselt to follow workshops and activities to learn about sustainability. The goal was for the students to have a good day and thereby learn more. Besides this, another goal was to make a change in their behaviour. According to Swaim and the theory of planned behaviour, teachers have to influence the subjective norm, attitude and the perceived behaviour control to change behaviour. During the workshops, the teachers-to-be tried to influence attitude. Four different workshops were organised and each of them was about a specific sustainable development goal. For example, there was an escape room about climate change and a workshop about clean energy. The students did attitude tests before and after the workshops so as to investigate if there was a change in their attitude. We can see a positive difference between pre and post–tests, which actually means that we reached the goal of making a change in their attitudes. In the afternoon, there was a business case in collaboration with Ikea. Students had to help Ikea to become more sustainable. They had a lot of ideas, presented them in front of a jury and the best sustainable team even won a price. This activity was to influence the subjective norm. It was a cool day for both the students and the teachers-to-be. Moreover, we reached the goal of making sustainability education more fun. Normally that would have been the end of the project. But that was not it. Several weeks ago we got a message from Oxfam. They also attended our event and they liked the initiative and activities. 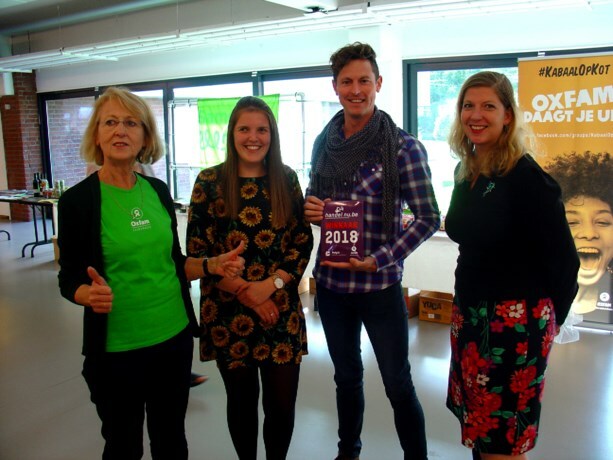 On Monday October 8th we received the ‘Handel nu Award’ of 2018 for ‘Dag van de duurzaamheid’. We are very proud and happy with this Award.